At Video Inspiration, post lots of short stories. 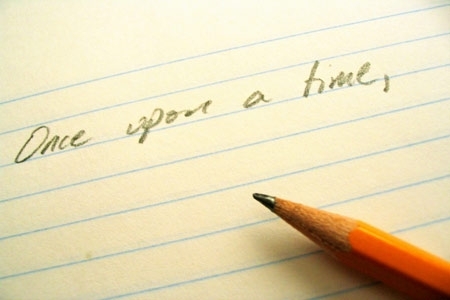 Some of them include short stories for life, real life short stories and sometimes short stories with lot of moral. But today, here we are with some amazing short stories for kids. We personally believe that children short stories are the best of a lot we have come across. Now before we start, here is a wonderful short stories collection you might want to see. You might also like these famous short stories too, for kids they are simple to read and easy to understand. Some best short stories for kids. Story1 : How and When to Seize An Opportunity. I went to a run with a friend of mine around the central park. And every week or so, there is an organization that organizes races. So we were doing these races and very often they have a sponsor and they will give something away for free, apples or something. On this particular day, they were giving away free bagels. We passed the finish line and there were few tables with lots of bagels on them and there was a long line of runners waiting to be given their free bagels. So I said to my friend, let’s get a free bagel. He said, na man, I don’t want to stand in the line and I said, free beagle. He said, naah, I don’t want to stand in the line. I was like, free bagels. And that’s when I realized there are two kinds of people in this world. There are people who see the thing they want and there are people who see the thing that’s preventing them from getting the thing that they want. And so, I went up to the line, I leaned in between the line, I put my hands between a couple of people, I grabbed couple of bagels and I got us free bagels. And this is the point, which is you are allowed to take shortcuts, and you are allowed to go after thing that you want, what you are not allowed to do is push someone out of the line and deny the thing that they want. No one got mad at me because I didn’t cut the line. I didn’t push myself into the line. I simply leaned in. What I sacrificed was the choice; I didn’t get to choose what I wanted. And this is the point. Stay, fixated on the thing that you want, go after the thing that you want, use any means necessary to the get thing that you want, but do not deny anybody else to get the thing that they want. Note: And by the way, all short stories for kids are in English. Last time we posted short stories, people started asking us to publish stories from some other international languages and unfortunately we can’t do it for now. Story 2: Here is yet another short moral story for kids with great moral. Tell the Truth. It’s the most important thing you can ever do. I visited a marine base, and the day I was there total coincidence there had been an incident. And so we sat down and for meeting with the colonel, the boss, he was gonna give us the briefing on what goes on at the base. And he showed up a little late. And you know it’s a big deal when marines show up a little and he apologized. He said, I am terribly sorry in dealing with this incident. We are considering throwing one of our marines. And I thought this must be serious, to get thrown out of marine course, so I said, what did he do? Thinking that he broke something, what crime did he commit? And the colonel said, he fell on sleep in the woods of Virginia. The problem we have is, you take responsibility for your actions at the time you perform your actions. Not at the time you get caught. He said, we had another marine who fell asleep, he admitted it, he got punished, we have no problem with him. The colonel went on to explain to me that he cannot put this would be leader in a position of responsibility for the lives of other human beings. If they are down ranged and for one minute of his men doubt that the words came out their leaders mouth anything but the truth, if they think he is saying anything to cover his own hide or to make himself look better, trust will disintegrate and people will die. The amazing thing is we don’t have to be in positions of life or death for people to earn our trust, for people who want to follow us, and believe that we have their interest in mind and not our own. The single greatest thing you can learn to do to earn the trust of those around you is to tell the truth. Good or bad. Weather it puts in a good light or bad light. Telling the truth is really easy or being honest is really easy it’s just about telling the truth. And so I have a little challenge for you, the next 48 hours just to prove how difficult it is. From today until day after tomorrow same time, you may not tell a single lie. It’s really hard. Because we are conditioned to tell lie, it’s not always a bad thing. Somebody gives you a birthday present and you think it’s the ugliest thing you have ever seen and they say to you do you like it? Do you say, no? Or do you say, thank you I love it, which is a lie. So you will have to find other nice of saying things. When somebody says, do I look fat in these jeans? You don’t say, yes. You say, I like the other ones on you better. The point is, for the next 48 hours try not telling a lie. We hope you liked these english short stories for kids. Story 3 will be on its way very soon. How to be a Great Dad? I read this article and found it very interesting, thought it might be something for you. The article is called Short Stories for Kids with Morals and is located at http://www.videoinspiration.net/blog/short-stories-kids-with-morals/.